In this article we will review the most powerful gaming engines in the market today and help you decide which one is suitable for you based on your experience and skillset. 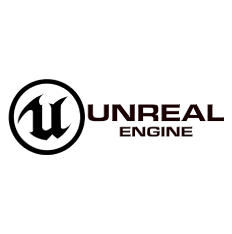 Unreal Engine is one of the most popular and widely used game engines. The primary version was released in 1998 and 17 years later it continues to be used extensively in building great games every year. The most recognized projects made by Unreal Engine include the Gears of War series, Mass Effect series, the Batman: Arkham series and many more. The latest version, Unreal Engine 4 allows for the use of graphic capabilities that until now were considered to too heavy for a mobile platform such as global illumination, bump mapping, reflections and animations that are computed in real time, and more. This is an acceleration capabilities and algorithms that enable the most impressive graphics on the platform, especially when taking into account its limited computation power and the ability of Unity3D that competing for the same system. Although there is a drawback, developers are warning of a steep learning curve and there are tools that are not user friendly. 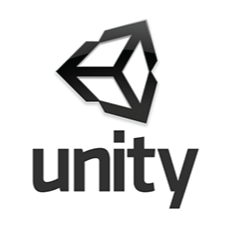 Unity is a cross-platform game engine that allows you to simply create interactive 3D apps. There is extensive use of Unity thanks to the variety of features it offers. Great projects made by Unity include Lara Croft Go, Her Story, Pillars of Eternity, and many other more. One of the best things about Unity is the Personal Edition, which is free. It includes the engine with all features and can be used to make games on almost every platform. The problem is that the Professional Edition requires a monthly fee. Unlike Unreal, Unity has a low learning curve and a very user friendly system. In terms of development capabilities, the amount of tools the engine provides are poor so you have to develop additional tools according to your needs, which could take time. GameMaker Studio has became famous because it does not require prior knowledge of programming. Thanks to that, developers can develop games simply and faster than programing with native environments. Some notable projects made by this engine are Spelunky, Hotline Miami, Super Crate Box, and the upcoming Hyper Light Drifter. The significant drawback relative to other game engines in market is that the amount of tools offered is relatively poor. CryEngine is a very powerful game engine. It includes many features such as physically-based shading, geometry cache, and image-based lighting. If graphics visibility is important for you, this engine is what you're looking for. This engine offers artist-level programming capabilities and enables stunning graphical presentation. Moreover it has a very powerful audio tool and enables easy programming interface, more than most engines on the market. On the other hand, it is important to know that the environment is unfriendly for beginners. And because its engine is not very common among developers its community is relatively small. The HeroEngine is designed mainly for multiplayer and online games. The system also includes the HeroCloud that is designed to script code, and create physics systems. It allows developers to work from a distance in real time. It offers several open-world maps and a seamless transition between them. Additionally it offers a fairly robust A.I.Easy and handy mapping tools. The scripting is powerful enough for developing complex tasks. The license terms seem heavy for new developers or small companies, but the actual performance justifies this, especially if you are facing a large and complex project. The uniqueness of this engine is the power it provides compared to other engines. Only a few engines can match it. Among the most famous projects built with this engine are GTA, RED DEAD REDEMPTION and the MAX PAYNE series. In terms of graphics, the engine offers a high-level display. One disadvantage you should be aware of though is that you'll have a limited amount of tools relative to other market-leading engines such as Unity and Unreal. Stop by the homepage to search and compare the largest collection of software development tools anywhere.